A warm welcome to all readers to the pre-monsoon month of May. A little known fact is that ‘May Day’ calls are internationally recognized as distress calls. Aircraft, ships and other vehicles use ‘May Day’ calls to announce imminent danger to the aircraft, ship or vehicle and passengers. The previous month was marked by some positive news. The good news includes the notification of the long overdue Sports Policy of the state. 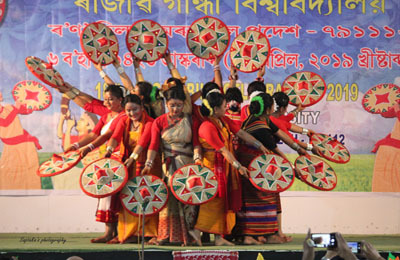 The objective is to make Arunachal Pradesh a vibrant and leading state in the sports arena. To encourage sportspersons, the policy offers lucrative incentives/cash awards for the achievers in various levels of competitions -right from the district level to the Olympics. While an Olympic gold medallist will get Rs 3 crore, mere participation in the world’s top sports event will fetch a sportsperson Rs 40 lakh. The other good news include the first test flight by Alliance Air’s ATR-42 plane at Pasighat ALG on 23 April, 2018 to check the viability of regular civil flights from Pasighat after resurfacing of the ALG. It may be noted that Pasighat was used for civil flights during the sixties to the nineties, wherein aircrafts like Dakota of Kalinga Airways and Dornier of Vayudoot operated from Pasighat Airport. Very soon eager passengers from Pasighat, Aalo, Basar, Yingkiong, Daporijo, etc will be able to fly to Guwahati, Kolkata, Delhi, etc. The month end marked the news that four young Arunachali candidates have cleared the Civil Services Examinations. The successful candidates are Masanda Magdalin Pertin (443rd rank), Phurpa Tsering (561), Dr Ojing Dameng (644), and Duyu Kampu (777). While the news brought joy to many aspiring Arunachalese, more effort is required to qualify more Arunachali candidates and to get higher ranks. This was followed by news that the Armed Forces Special Powers Act (AFSPA) has been extended by six months in the three districts of Tirap, Changlang and Longding and eight police stations bordering Assam. However, a ray of hope was indicated by the news that AFSPA has been withdrawn from two police stations; Ruksin police station and Likabali police station. Many states are withdrawing the draconian AFSPA. 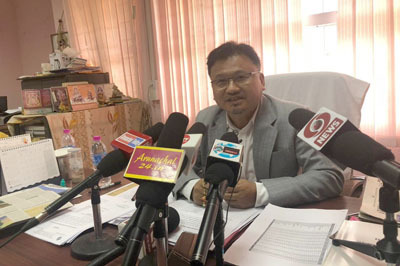 Having announced that Municipality Elections would be held for Itanagar and Pasighat on 29 May, the State Election Commission hastily cancelled the elections just after a few days. The reasons given for cancellation included likely occurrence of natural disasters like landslides and floods which might cause road blockages. If this is the state of affairs of the capital city Itanagar and the oldest town of Arunachal Pradesh, Pasighat, what would be the state of other towns and villages of Arunachal? To top it up, both Itanagar and Pasighat have been selected as smart cities!